We are all up in that holiday season and it’s about to be crunch time! With a new year comes new resolutions, and as always, becoming a more active and healthy you are high on everyone’s resolution list. 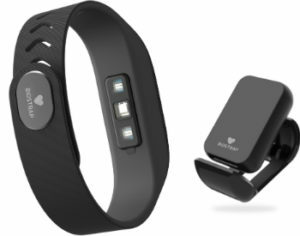 So surely providing your loved one with that beloved fitness tracker is the best way to support them. But where do you start? The market is full of fitness trackers, each with a similar product and a variable price range. Here’s a quick pro’s and con’s list of the most common fitness trackers available to help you prepare for that purchase. Whoop (pictured above) technology has been tried and tested by the highest levels of professional athletes, but it is accessible for individuals at any level of activity. Whoop is a fabric wristband that provides users with a less restrictive and noticeable wear, leaving our business professionals without the bulky band underneath their button-down. Amount of rest and recovery needed – Whether you’re a marathon runner or a busy mom, Whoop tells you exactly how much effort you’ve put into your daily activity and how much sleep and time you need to come back to your best self. Whoop’s stellar sensory technology pulls information from five sensors at a rate of over 100 times per second. While you’ll never miss a beat, this means the device is data hungry. Unlike many other fitness trackers, this band has no display. That’s right, users can only access their data after it’s been synced to their app. If you choose to buy this device as a holiday gift, keep in mind that it is not a gift that keeps on giving. The device and app service subscription is $30 per month with a six-month commitment to start. This is a small price for athletes who need to take their fitness and recovery to another level, but keep in mind – you only reap the benefits from this recovery tracker when you listen. For some pedal to the metal fitness enthusiast’s, being told to rest instead of heading to the gym can be hard to endure. What makes the Morpheus (pictured above) so darn awesome is that it is one of the only monitors available today that’s capable of transmitting heart rate data using all three modes: Bluetooth, ANT+ and 5.3 kHz at the same time. This means it will work with virtually any heart rate monitoring device or app. 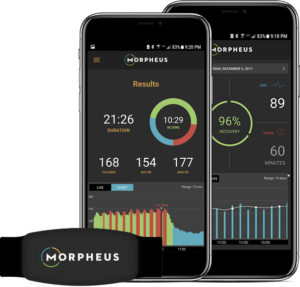 It also stores 13 hours worth of data so that you can train without your phone and still track your workout data and its impact on your recovery by uploading it directly into Morpheus. Think of it as a personal recovery coach. Based on your recovery level each day, Morpheus gives you a targeted blue zone to train in. Get in your blue zone for as little as 20 minutes and it’ll help push your body into the recovery state and accelerate your recovery, and your fitness to a whole new level. 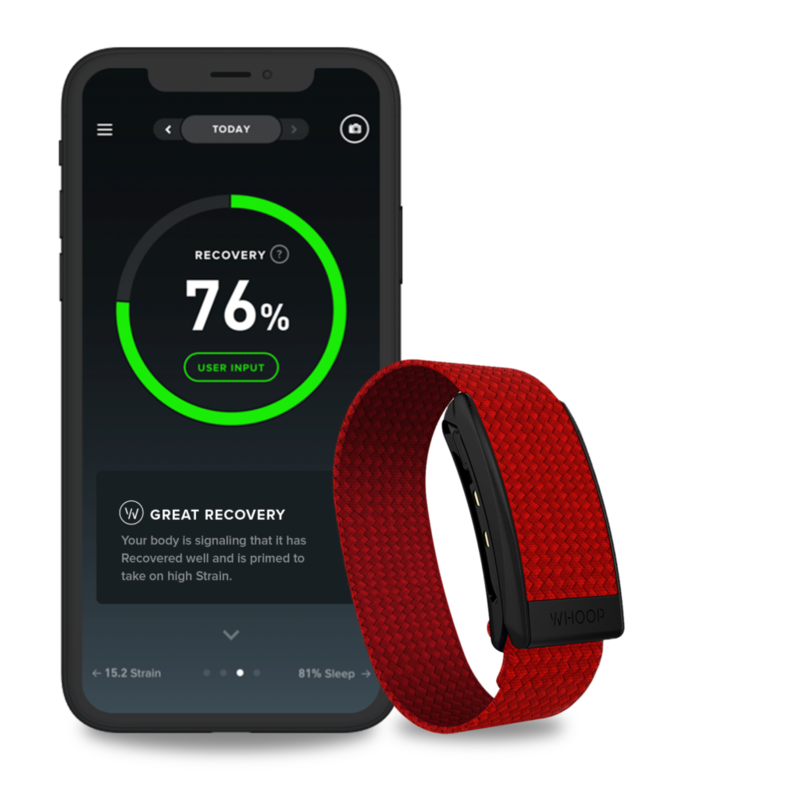 The Morpheus Recovery band uses an optical sensor and while they are absolutely fine for reading HRV they are not so great with tracking your heart rate for training. Like all optical sensors, the band is sensitive to movement (that is why you need to remain as still as possible during the Recovery test) and it is most accurate during common, cyclic movement patterns, it becomes less accurate during high-intensity, high-speed movements with frequent and rapid changes of direction, and high heart rates. Another downside to this product is that, when it is connected via Bluetooth, you can’t have your phone too far away from you while you workout. This might not be a huge issue in the gym but provides more of a challenge while running or moving between stations while circuit training. If nothing more, the Fitbit offers buyers variety. 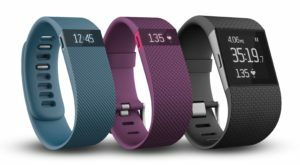 Ranging from the data and functionality to the style and colors, Fitbit can be a small and dainty looking bracelet, to a full-size watch. The device is user-friendly, giving you data that is easy to understand regarding your activity levels and sleep quality. The watch face provides you with real-time data, including a run tracker, breathing exercises, and notifications from your cell phone so you never skip a beat. 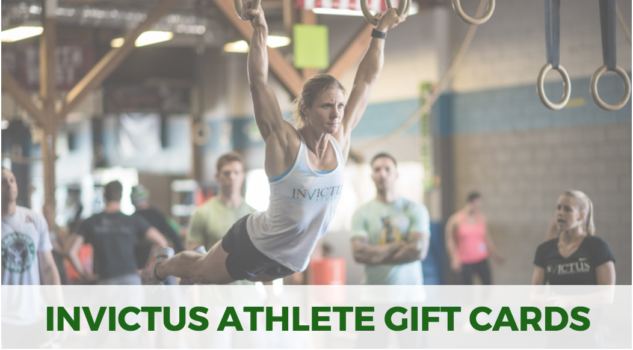 Now you can leave your phone in your gym bag where it belongs. Fitbit, and many other fitness trackers, collect their data from an LED sensor on the back of the “watch face.” This measures your blood volume and capillary size changes when under pressure (also known as your heart rate). While the Fitbit continuously monitors your heart rate anytime you wear it, the technology can be faulty if the band is worn too loosely. This means the heart rate monitor may leave you in suspense at the end of your workout. If you’re a heavy duty sweater, keep in mind that while some of the Fitbit monitors can withstand shallow swimming depths, most of these sensors are not waterproof. Interchangeable bands provide users with opportunities for style points, but the rubber band can be quite uncomfortable when worn tightly or after long periods of sweating. The response time for your heart rate technology and Fitbit screen can have occasional delays, and the “Run” tracking screen is sensitive to bumps during your activity. Careful not to touch too many times or your data collection could be interrupted. Program full body movements, such as kettlebell swings and burpees, into your tracker and Biostrap will monitor consistency and pacing across the movements, telling you where you dropped off or how hard you pushed during those reps.
Has two different types of monitoring systems – the wristband and a shoe sensor, allowing users to change out their straps for style. Biostrap can only be purchased from it’s manufacturer, so there are no bargains to uncover for this mid-level price range ($175-250). Similar to the Fitbit, the band is composed of uncomfortable rubber that may not always be forgiving with your movement or sweat. While the data collected from the Biostrap seems to set itself apart from other fitness trackers, the syncing and reliability of this information is both slow and unreliable. Users explained that immediately after activity, step counts and rep ranges seemed off and that the data for their previous workout would often change as the day progressed. Biostrap’s wrist technology claims to be swimmer friendly, but the shoe technology is “splashproof” at best. Battery life is also a concern, and no one wants their fitness tracker tapping out before they do. With great cost comes great responsibility. The Apple Watch is the highest priced fitness tracker, but that’s because it sort of does everything. Previous models of the Apple Watch sort of had fitness tracking as an afterthought, but newer series, such as the Series Four, bring users new and accessible technology that set it apart from its competitors. 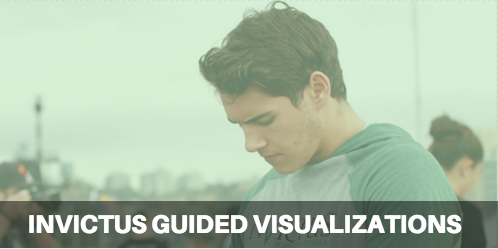 Provides you with real time data regarding your heart rate. GPS and ECG testing are also available on your latest models of the Apple Watch, leaving no stone unturned for this expensive and extravagant technology. Apple Watch has gone through many lengths to set itself apart from its competitors in terms of fitness technology. But it is still a Smartwatch in its origin. Some of the best benefits of being active and using your fitness comes from the opportunity to be disconnected from the demands of life and being present in your moment. While you can disable the notifications from your constantly buzzing phone, chances are you won’t. These sorts of distractions can really take away from the intensity of your workout. While the ongoing cost to maintain the device isn’t nearly as steep as the Whoop, Apple Watch does require ongoing cellular connectivity and monthly payments. If you’ve got poor luck with your iPhone screens, users beware. The Apple Watch may be splashproof, but it is not scratch proof or waterproof. The good news is all variants of the fitness tracker provide you with data, accessibility, and the reminder to get up and go. The real question you need to ask yourself is this: What do I need from my fitness tracker – motivation or data? If gaining an edge on your competitors is what you seek, you need a device that is going to give you real and accurate data to meet your needs. If you just need to get up and move more, will a band on your wrist that you can take off whenever you want really do that for you? Like every other diet and fitness resource, it will only work if you do.